As seen in the DVD. How the sculpting pros make such cute, detailed baby faces! These tools, in our opinion, are the best set of sculpting tools for baby sculptors in the doll world today. They allow a level of control not available with most other sculpting tools. 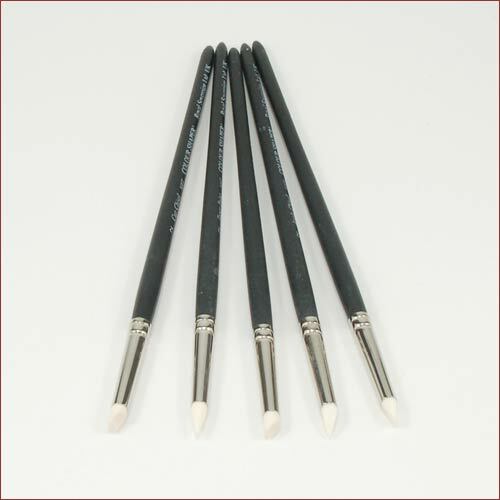 The Clay Shapers allow you to reach into the tiniest areas to add incredible detail. Their flexible rubber tips are like having tiny little fingers that can shape, smooth, and create wrinkles and fat rolls that are impossible to make by hand or with hard metal or wood tools. Learn how to effectively use these wonderful tools most effectively by watching our training DVD The Art of Sculpting.